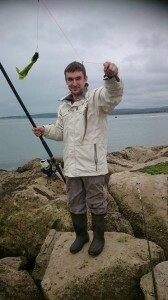 It was a slow weekend at sandbanks, which goes to prove it fishes almost the opposite of Chesil at this time of year.. The odd half decent plaice was landed early in the mornings. As the wind picked up in the afternoon the fishing died. I had a go myself in the early evening on Saturday and was frustrated by the wind and weed. Once again fishless! !The weed collects on your line and drags down your line leaving a huge ball of snot that invariably breaks out your gripper and covers all of your trace and bait. I can only suggest to avoid this fishing the weaker part of the tide. Doing this though you miss some of the best fishing time.The weed is not unusual this time of year. With the sun comes the bloom of plant life in the water, it’s the natural cycle of the sea. What could be avoided though is the terrible weather forecasts for this weekend. Saturdays forecast was a mile out “Again”. The wind was due to drop away to 7mph at high water. If anything it increased to 20mph gusting well in excess of that. Luckily it only affected my comfortability. I dread to think if I followed the forecast and fished well offshore in my boat. The headlines may well have been very different. 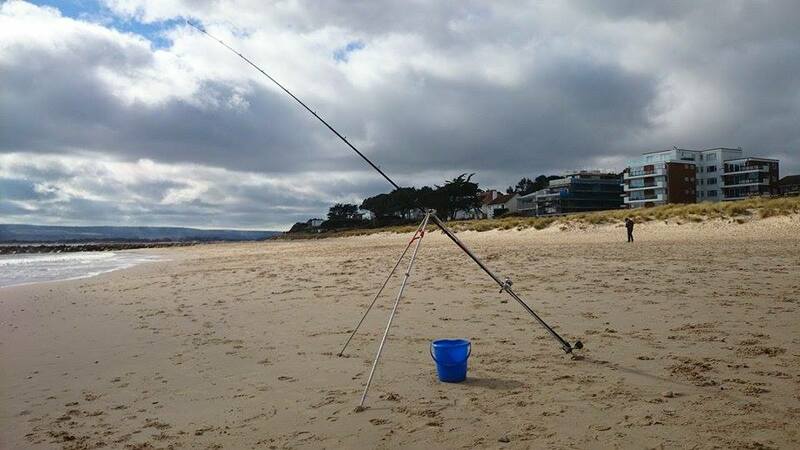 On another sour note, I spoke to a couple of guys who had travelled down to sandbanks from well outside of the area and commented on the amount of rubbish left behind by other anglers before them. By and large we all know the score and we do all clear up behind ourselves. My mate had filled four carrier bags of rubbish before he started fishing on Friday morning. The council provide bins for all types rubbish including dog waste to BBQ coals so there is no excuse for these idiots to carry on in this way. Poole and Bournemouth council will take a dim view on anglers dirtying up and spoiling their money making cash cow that is Sandbanks beach. It won’t be long before anglers will be in the bad press again. Some good news! Bass have been reported in some of the catches over the weekend. It won’t be long before they are a regular feature in catchesall over the Poole area. They are slightly late this year for whatever reason. But they are welcome in any fishing session I have. It’s good to see those silver sided beauties again in the spring sun.